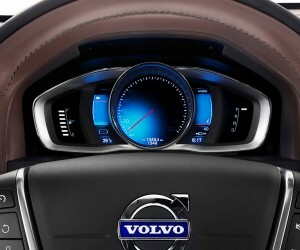 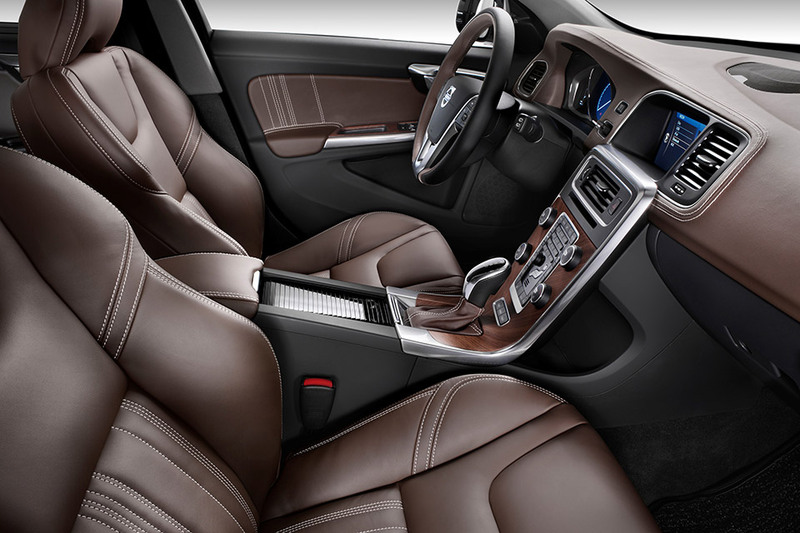 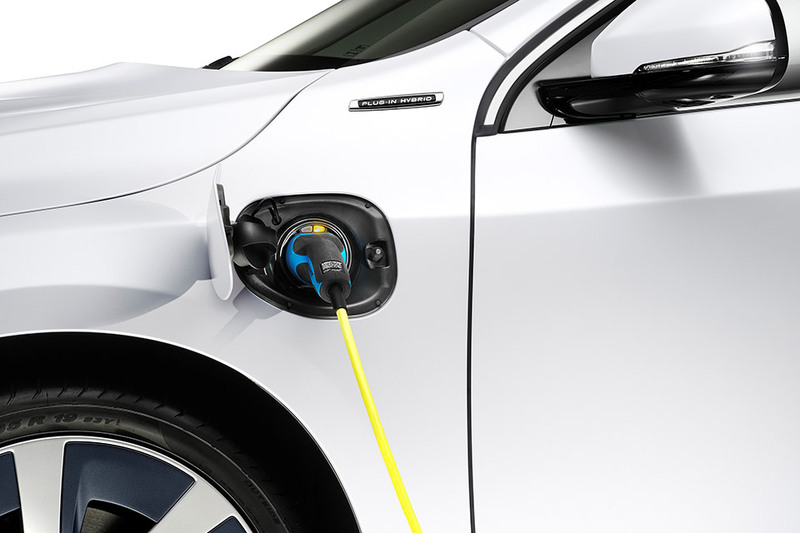 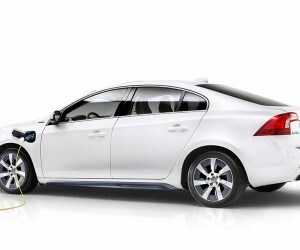 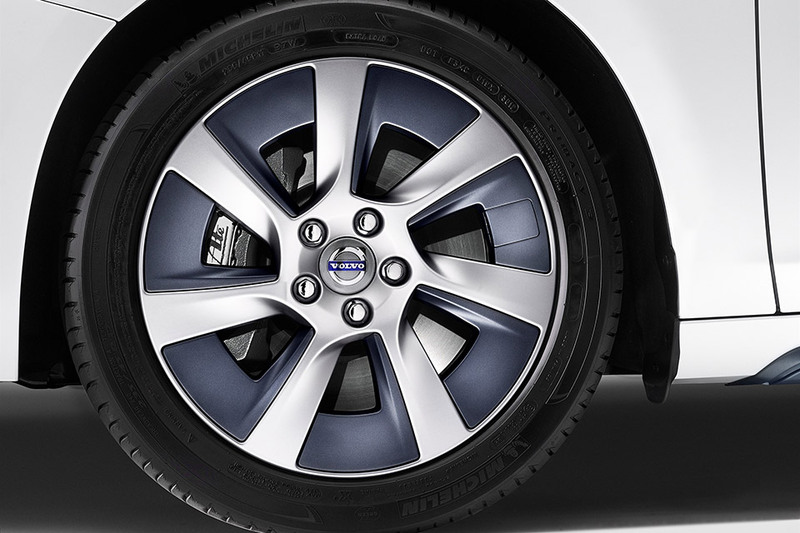 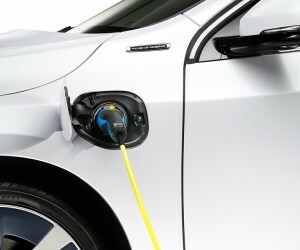 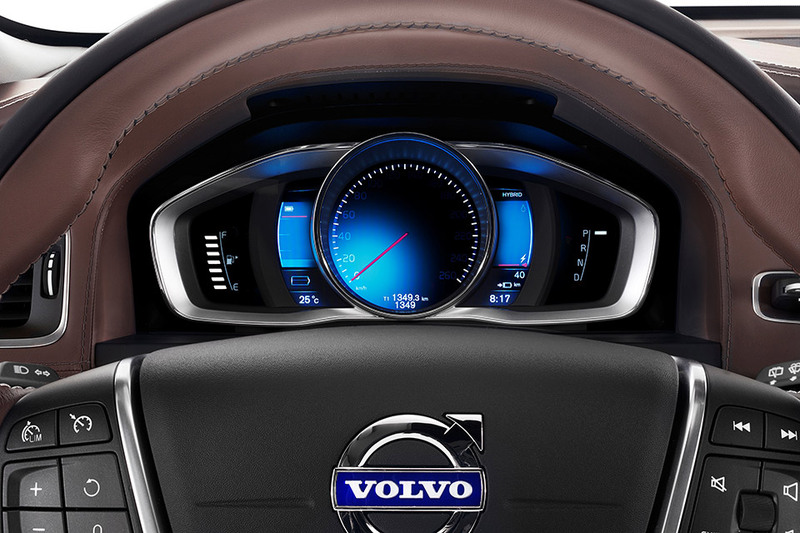 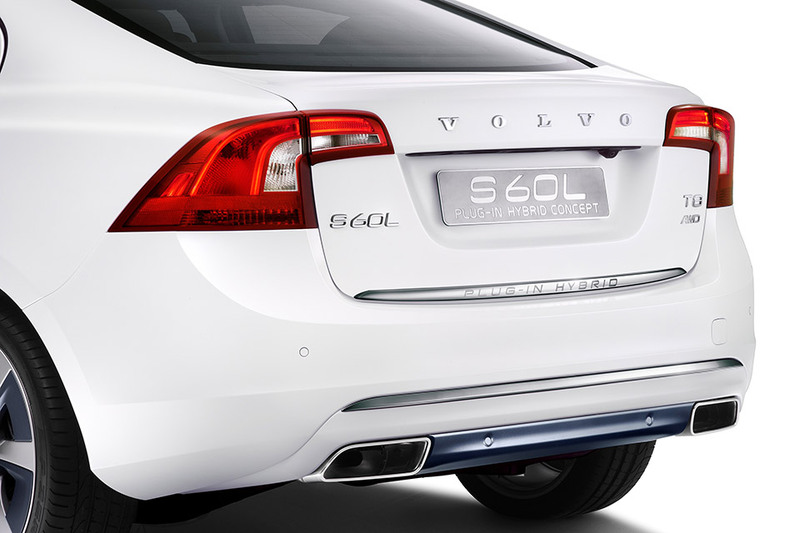 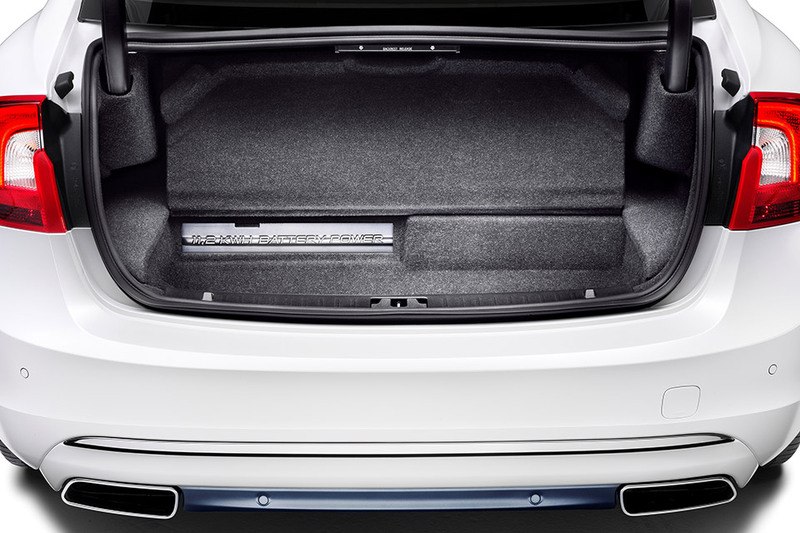 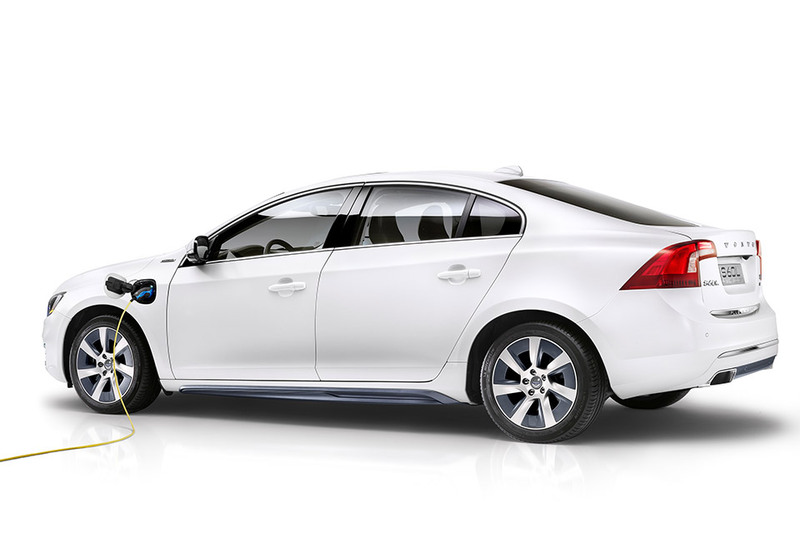 Volvo has revealed a new plug-in hybrid ahead of its debut at the 2014 Beijing International Auto Show. 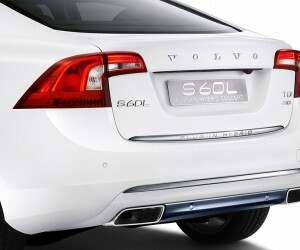 The gasoline-electric hybrid, officially dubbed the Volvo S60L Petrol Plug-in Hybrid Electric Vehicle (or S60L PPHEV) is based on the long-wheelbase S60L sedan and will be offered exclusively in the China market. 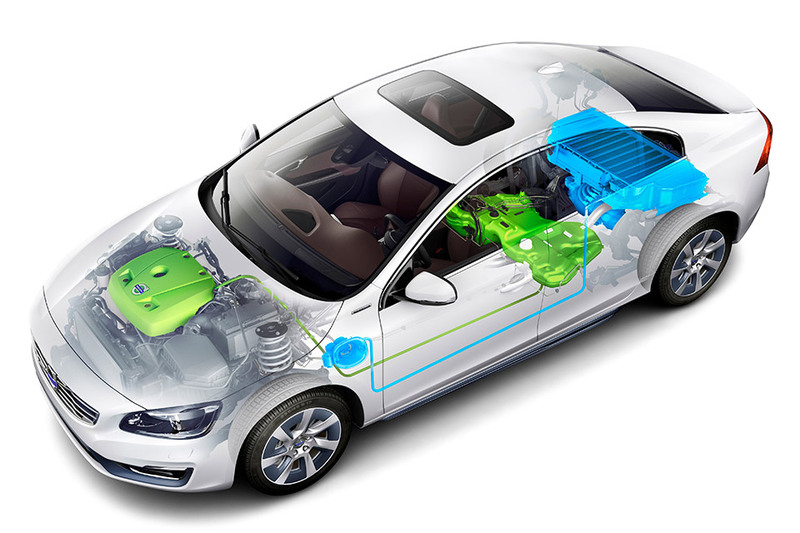 The car’s drivetrain includes a turbocharged 2.0-liter four-cylinder “Drive-E” engine paired with an electric motor to produce a total of 306 horsepower and 405 lb-ft. of torque with the electric motors driving the rear wheels and the combustion engine for the front. 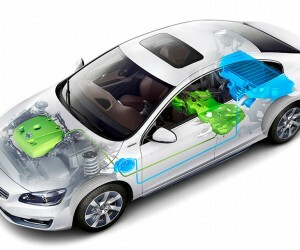 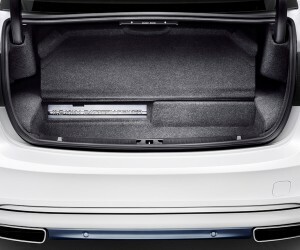 The combination provides the car with an all-wheel drive system. 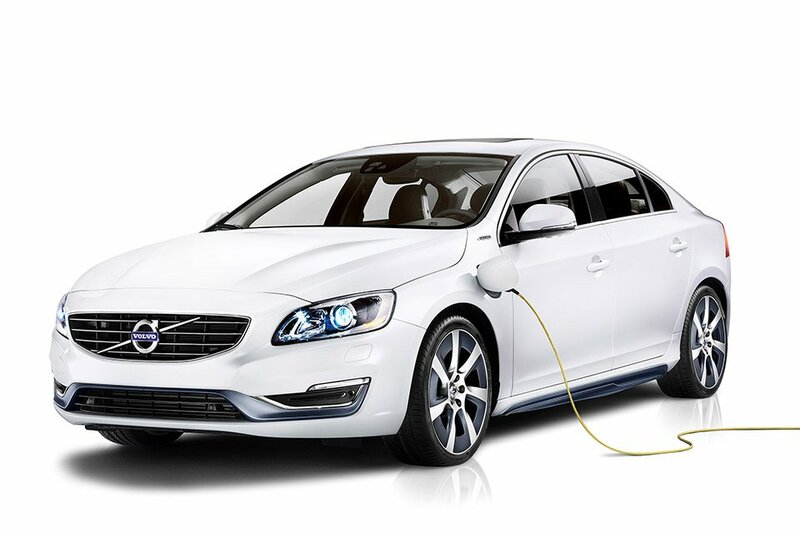 The car can travel up to 50km (~30 miles) solely on electric power and a full charge of the batteries takes 4.5 hours with a 10 amp circuit. 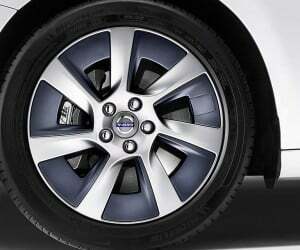 The car comes in an exclusive matte white crystal pearl color with contrasting black or blue details on the lower body and the seven-spoke wheels.